Bill - I haven't seen this since it was first released, but I do remember this scene. And is my memory playing tricks on me, or does it cut directly from that game scene you describe to Pearson's gravesite service? I just remember seeing it with a friend who gasped and started to sob at a quick cut to a graveside scene. 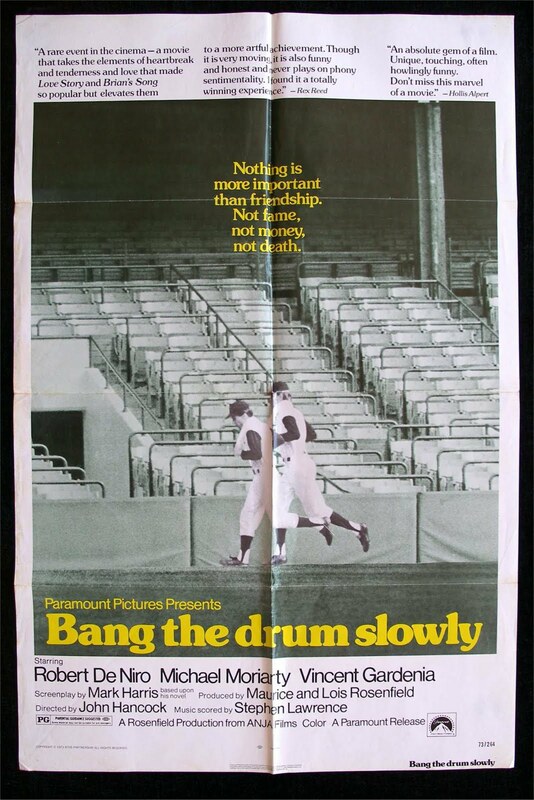 This film tore me up when I was a teenager and I'm sure it would do the same today. Not quite, Pat. After the game, the film moves briefly to a "farewell" scene, when Pearson is going back home, with the unspoken understanding that he doesn't have much time left. Then it's the gravesite. 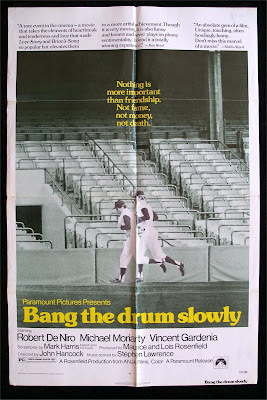 Bang The Drum Slowly is one of my favorite movies. Bless you for your good heart.